Next month's North American International Auto Show in Detroit promises to be greener than ever before. 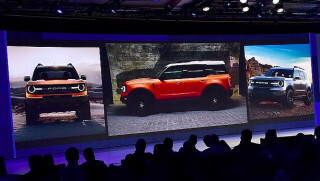 That's a recognition that more fuel-efficient and smaller cars are a permanent part of the U.S. automotive landscape, but it's also desperation to fill space in a show that's losing exhibitors. Padding out the new cars on display: Not only the return of last year's basement Eco Xperience ride-and-drive, but a main-floor area called "Electric Avenue" just for electric cars, of any variety. Our bet: You won't see a Tesla Roadster or a Chevrolet Volt anywhere near what will likely be a somewhat motley collection of low-speed neighborhood-electric vehicles, prototypes, and whatever else they can round up. The Nissan Leaf will be there, though. Chevrolet in particular needs to stress that its electric cars are real cars. Being displayed next to glorified golf carts does nothing to help that. In any case, here's our roundup of the newest green cars we expect to see at the 2010 Detroit Auto Show. Given Toyota's dominance of hybrid cars--it's made two-thirds of the world's supply of them--this may be the most important green concept at Detroit. 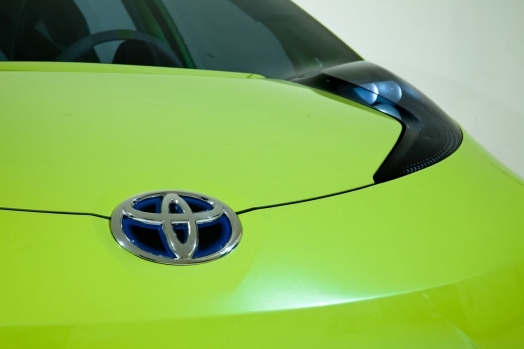 Toyota's being coy about details, issuing just a teaser shot of some green bodywork. The latest speculation is that it will be a hybrid version of the 2011 Scion iQ mini-car (sold in the rest of the world as the Toyota iQ). It is said to be a new five-door hatchback iQ model, possibly followed by a sedan. The existing iQ three-door will come with a 93-horsepower, 1.3-liter gasoline engine, as will a tiny two-seat retractable hardtop model. Power for the iQ Hybrid supposedly pairs a 1.5-liter engine to Toyota's Hybrid Synergy Drive system, giving 100 horsepower or more, and fuel efficiency as high as 60 miles per gallon. Cost is rumored to be $15,000, meaning the iQ Hybrid would undercut not only the 2010 Toyota Prius ($22,600) but also the 2010 Honda Insight, currently the lowest-cost hybrid ($21,400). Speculation has also centered on a two-door version of the Prius, rumored to compete with Honda's upcoming 2011 CR-Z sports coupe (see below). A hybrid version of the Toyota Yaris subcompact is also a possibility. We'll keep you posted. Following mixed reviews for its test fleet of electric Mini E conversions, BMW's newest foray into all-electric cars--the Concept ActiveE--embodies the rear-wheel-drive handling characteristics of its iconic sporty sedans. Its 12525-kilowatt (170-horsepower) electric motor sits in the rear axle, powered by a lithium-ion battery pack (of unspecified capacity) that gives 0-to-62-mph acceleration of 8.5 seconds. Range is 100 miles, and charging time is said to be 3 hours in Europe and about 4.5 hours in North America. 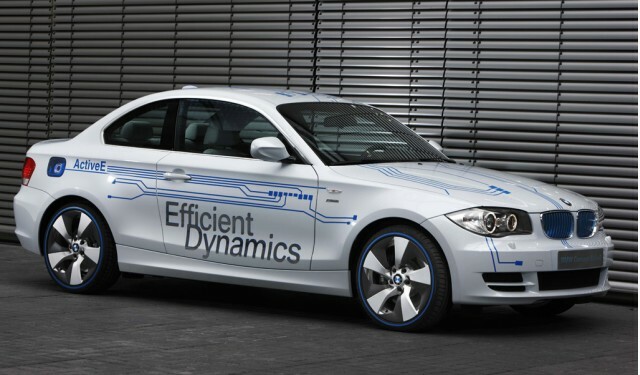 BMW plans to put everyday drivers behind the wheel of a fleet of these emissions-free compact sports sedans, to gather actual data on how drivers use electric cars in real-world travel. 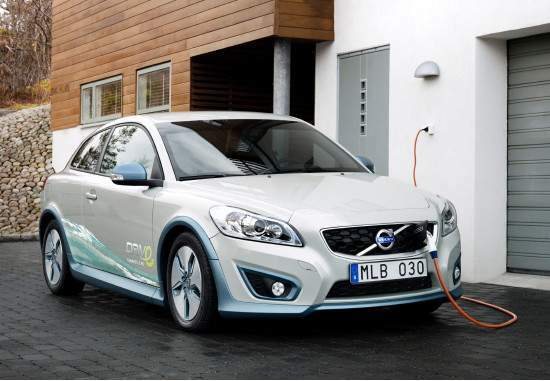 Volvo, too, plans to display an electric concept that will be tested with real-world drivers. The electric C30 debuted last fall at the Frankfurt Motor Show, but this version is drivable and shows off a full interior. Unlike the BMW, the electric Volvo hatchback is front-wheel-drive, with its battery pack split between the spaces for the previous gas tank and driveshaft. Range is 90 miles, with a top speed of 80 miles. Acceleration from 0 to 62 mph takes less than 11 seconds. 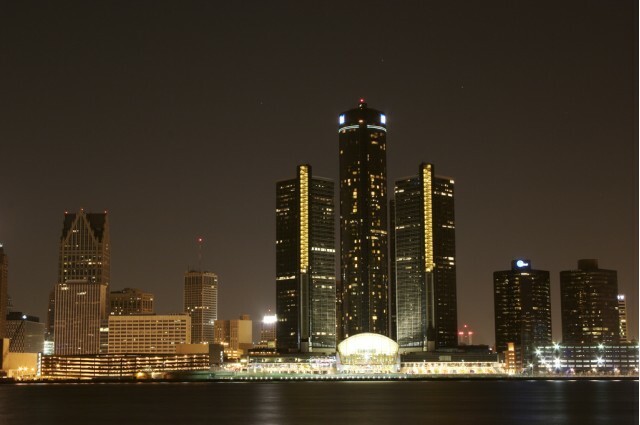 Neither Chrysler nor its new partner Fiat will hold a press conference in Detroit. Still, persistent rumors say that not only will the Fiat 500 be on display, but so will an electric version of it, very much in the spirit of the Mini E electric two-seater. The British magazine AutoExpress says it will have more than 5,000 small lithium-ion cells, giving it up to 150 miles on a charge (better than the Mini E's 100-mile range). Acceleration from 0 to 60 mph is quoted as about 10 seconds, with a top speed of 90 mph. Recharging from empty could exceed 10 hours, though that time would fall by half with a U.S. 220-Volt dryer circuit. 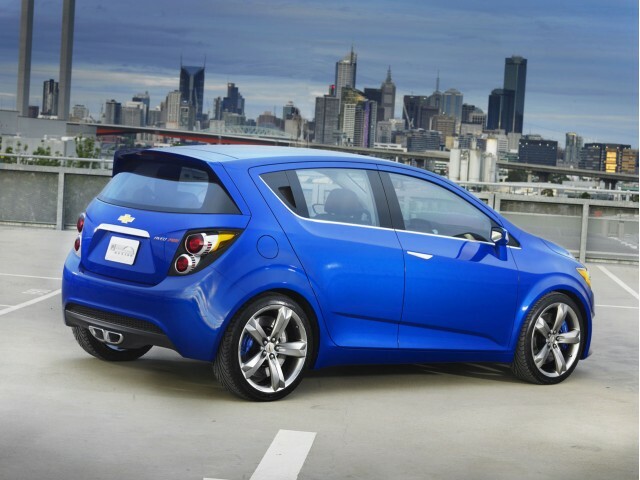 The Chevrolet Aveo RS concept is mostly a styling exercise for the car that will replace the current, aging 2010 Chevrolet Aveo sedan and hatchback. Chevy released little information on the car's performance or fuel efficiency, but to stay competitive, it must meet or beat the 2011 Ford Fiesta's ratings, at 30 mpg city, 40 mpg highway. The RS concept has a "European-inspired hot hatch look," Chevy says, meant to "appeal to young enthusiasts." It is longer, wider, and has more interior space than the current model. That will allow GM to bump up total transaction price from a starting sticker of $14,000 or less. It's the same tactic that lets Ford start prices for the 2011 Fiesta at $14,000, but offer models as high as $23,000. The 1.4-liter turbocharged Ecotec four-cylinder engine, estimated at 138 horsepower, is mated to a six-speed manual gearbox, with power delivered to the road through the giant 19-inch, five-spoke wheels and tires. Chevrolet will build the new Aveo at its plant in Orion Township, Michigan, starting in 2011; the current Aveo comes from South Korea. While we expect to see the Mini Coupe Concept at Detroit, following its debut last fall at the Frankfurt Motor Show, the latest news from the busy Mini brand is the unveiling of the new Beachcomber Concept. We're not sure how green it is--it's the largest and heaviest Mini to date--but it previews an upcoming Mini compact crossover, which takes the brand into all-wheel-drive territory for the first time ever. The concept runs on a conventional gasoline engine. 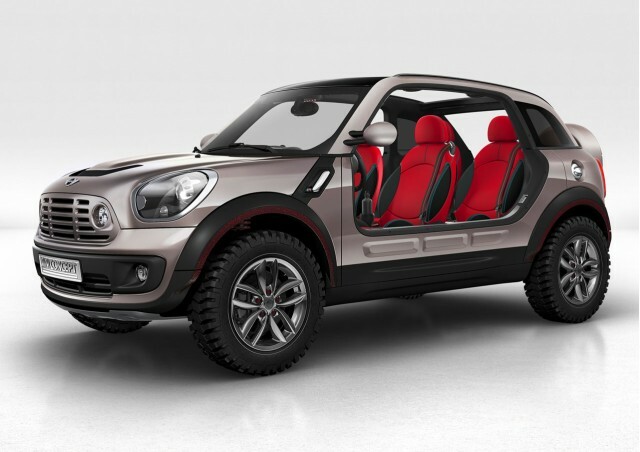 The Beachcomber concept has a few echoes of the Jeep-like Mini Moke from the Sixties, but if you add some doors, it's an all-but-production version of what might be called the Mini Countryman. Ford's 2011 Focus compact sedan and hatchback are probably the most important new cars at the 2010 Detroit Auto Show. They follow the well-received debut of the 2011 Ford Fiesta subcompact sedan and hatch earlier this month at the Los Angeles Auto Show. The all-new Focus has to compete and sell in high numbers in a crowded compact market that includes the Honda Civic, Toyota Corolla, and Nissan Sentra. We'll get two body styles: a four-door sedan plus a five-door hatchback, a model dropped in the most recent 2008 restyle of today's U.S. Focus. Ford hasn't yet said much about engines, transmissions, or equipment. But rumors say the Focus will offer a 1.6-liter four (as the Fiesta does), plus an EcoBoost version of that engine with direct injection and a turbocharger that puts out as much as 180 horsepower. 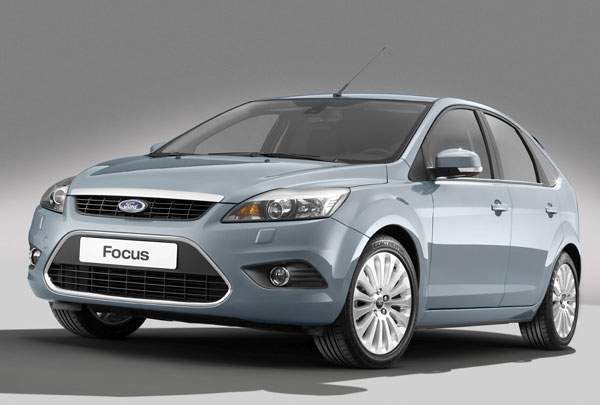 There's also a Focus EV electric version that will launch in 2012. It will be built in the same factory in Wayne, Michigan, as the standard Focus, though its numbers will be quite limited. Given the Fiesta's multiple options and hardware like its six-speed direct-shift automatic, we're eagerly awaiting details of this U.S.-built contender in the critical compact fuel efficiency stakes. After teasing two separate concept versions of its 2011 CR-Z hybrid sport coupe, one in 2007 and one last year, Honda will finally unveil the product version. It is the spiritual successor to the well-loved 1983-1991 Honda Civic CR-X. 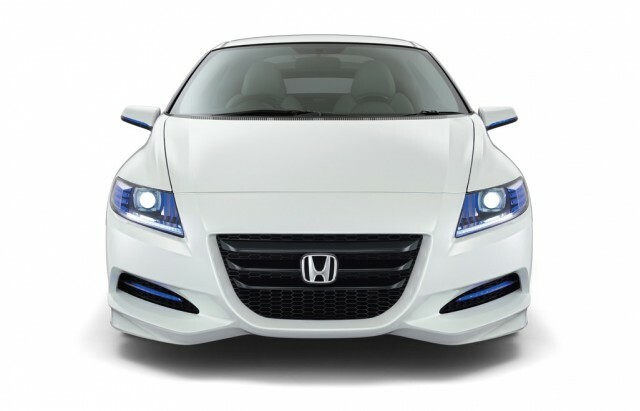 The 2011 Honda CR-Z will share its basic platform with the 2010 Honda Insight, and is rumored to feature a combined peak power rating of 140 horsepower between its engine and electric motor. A hybrid version of the Honda Fit is expected to round out a trio of new Honda hybrids. Chinese automaker BYD is the only car company owned by a battery maker, so it's not surprising they are focusing on electric and hybrid vehicles. Famed financier Warren Buffet also owns a stake in the company, so they bear watching. 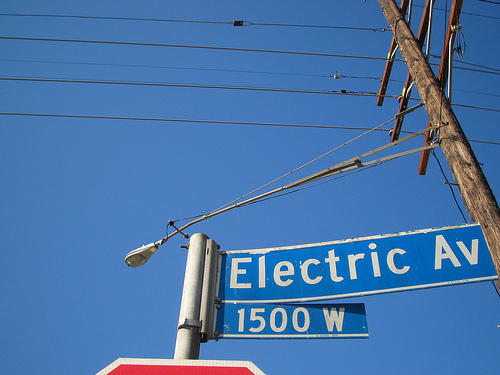 At Detroit, they will show two cars in the "Electric Avenue" section. One is their F3DM plug-in hybrid compact sedan, which went on sale in December 2008, making it the world's first production plug-in hybrid. That distinction didn't do much; sales have been anemic. To be fair, the F3DM on display in Detroit a year ago was crude and badly built, with suspiciously Toyota Corolla-like styling. The more modern E6 all-electric crossover, shown last year as a concept, may be more interesting. BYD says it will build the car, which is quoted with a 300-mile range--which would be quite a feat indeed. 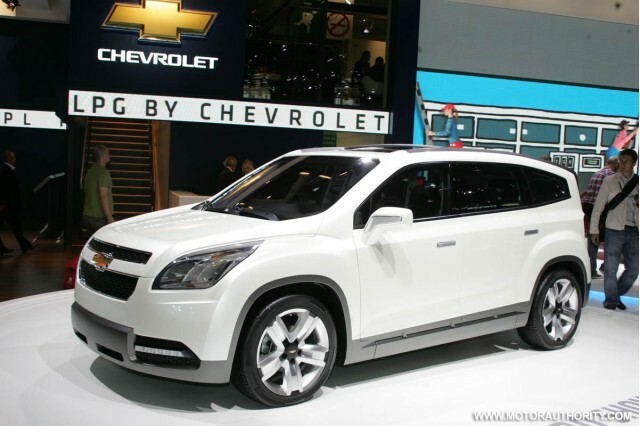 The Chevrolet Orlando compact people-carrier concept has been around for a year now, and it's set to go into production in North America sometime next year as a 2011 model. The seven-passenger crossover is based on some of the same underpinnings as the 2011 Chevrolet Cruze compact sedan, and it replaces the aging Chevrolet HHR retro wagon, which offers only five seats. We expect Chevrolet to show a close-to-final version at the 2010 Detroit Auto Show. No word yet on engines, transmissions, or fuel economy, but we expect only four-cylinder models. It's possible that the Orlando will offer the same pair of fours as the 2011 Cruze: a 1.8-liter rated at 136 horsepower, and as an option, a smaller but more powerful turbocharged Ecotec 1.4-liter that puts out 138 horsepower. 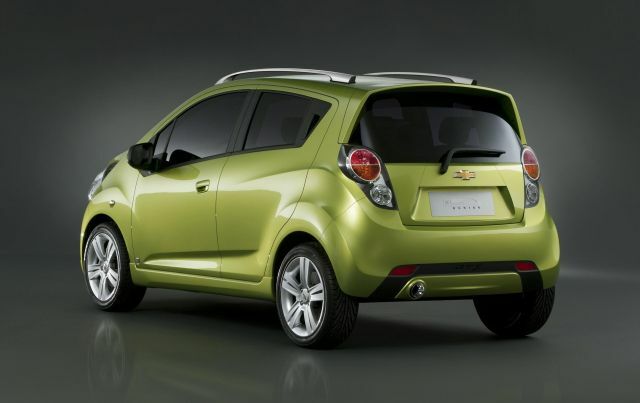 On display at the Chevrolet stand will be the 2012 Spark mini-car, slightly smaller even than the 2011 Chevrolet Aveo subcompact. Sold mostly in Asia, it's the smallest Chevy ever built. It is supposed tocome to the U.S. as a 2012 model, though it's not clear that it will be sold in all markets. We'll get more details for you at the show. 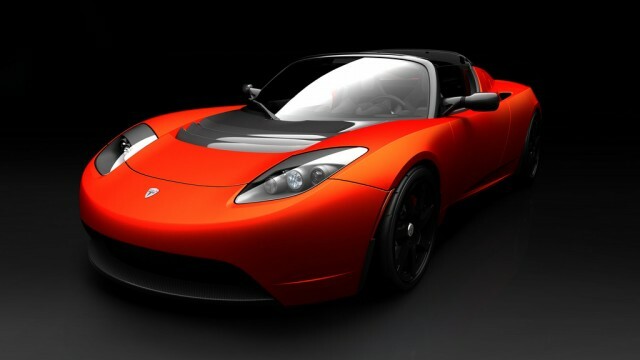 Everyone's favorite high-performance all-electric sports car company isn't actually releasing any new cars at Detroit, but it'll have its 2010 Tesla Roadster Sport on display. This is the model with an uprated electric motor, courtesy of a hand-wound stator and higher-density windings, that puts out 15 percent more power than the standard model's 248 hp. The upgrades rocket the Roadster Sport from 0 to 60 mph in a mere 3.7 seconds, besting the regular Roadster's 3.9 seconds. That extra 0.2 second will cost you about twenty grand, however. Separately, the main floor will contain "Electric Avenue," 37,000 square feet devoted to about 20 electric vehicles from real automakers and smaller startups. Most will be low-speed neighborhood electric vehicles or highly specialized, e.g. the three-wheeled Triac from San Jose's Green Vehicles. For the second year, the basement of Cobo Hall will also contain the "EcoXperience," an indoor quarter-mile test track set amidst potted plants, trees, and (last year) a strong smell of mulch. 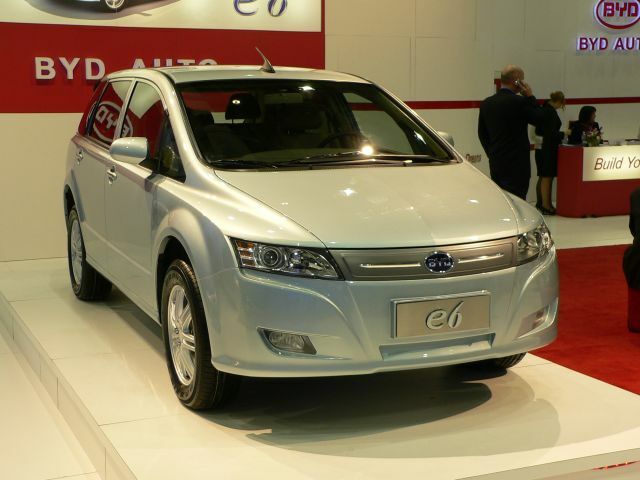 Visitors can also ride in low-speed or non-production vehicles that include the BYD e6 electric crossover, Commuter Cars Tango, GEM E4, EV Innovations 2010 LiV WISE, and two contenders in the Auto X Prize fuel-efficiency competition, from Saba Motors and SSI Racing. This year's Detroit show is open to the public from January 16th. For more on visiting the show on your own, steer over to the Detroit Auto Show Web site. 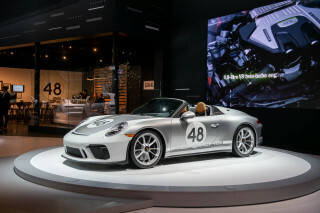 Bookmarks: Watch this 2010 Detroit Auto Show page for updates, and follow our Detroit Auto Show tag. Subscribe to our RSS feed for GreenCarReports, or get the entire High Gear Media RSS feed through your browser or by e-mail. 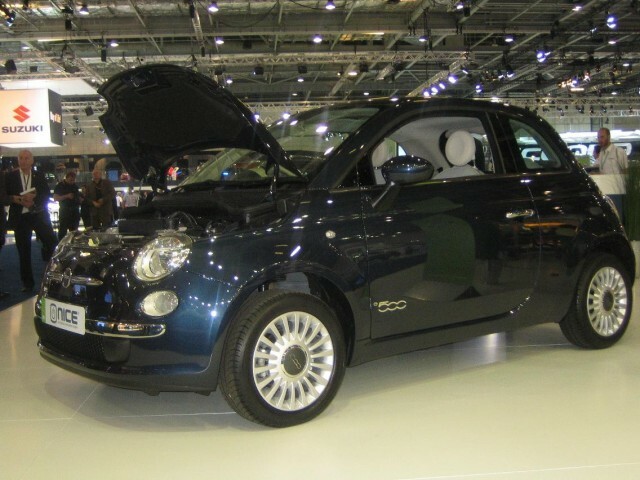 Electric Fiat 500 Closer Than We Think From Chrysler?